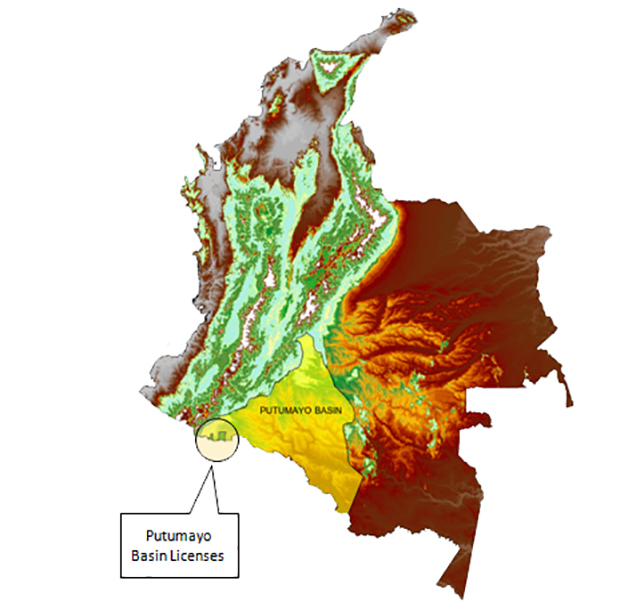 The two onshore blocks in the Putumayo basin in southwest Colombia known as the Putumayo 6 (PUT 6) and Putumayo 7 (PUT 7) were awarded in September 2010. The PUT 6 license covers an area of approximately 177 square kilometers (43,738 acres) and the PUT 7 license covers an area of approximately 531 square kilometers (131,213 acres). GeoGlobal is entitled to a 10% participating interest in both licenses through providing for the Bids guarantee and all the technical requirements for the Block Bids, and for the minimum and additional work programs as bid, as well as for continued technical assistance through the exploration phase. The Company’s interest entitlement in these Blocks is currently subject to challenge which the Company is vigorously contesting. The minimum work program on each license during the initial exploration period is to reprocess existing 3D seismic and to drill one well. If, after completing the reprocessing of the existing 3D seismic in the initial exploration period, the parties choose not to drill a well, 100% of the contract area will be relinquished. There are two extension exploration periods that if can be elected to continue into, would require us to drill one well in each extended period.